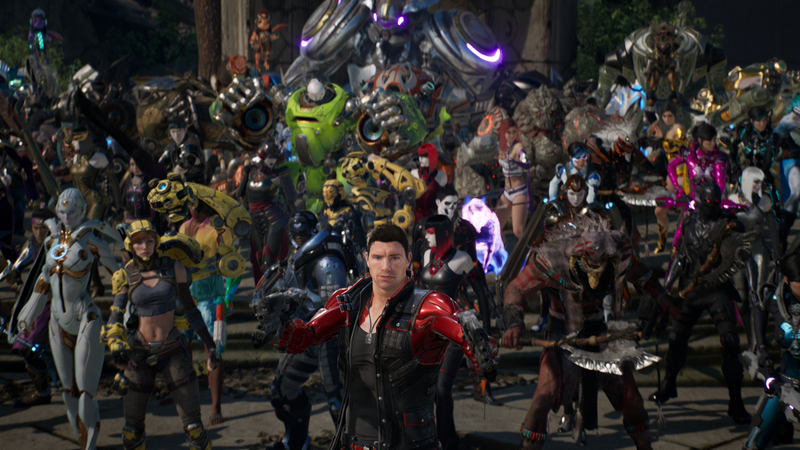 Multiplayer battle arena Paragon shuts down on April 26, but its characters and environments have a chance to live on. Epic Games has released “$12 million worth” of the game’s character and environment assets onto the Unreal Engine Marketplace for free. Epic’s got no time for a MOBA that spent two years trying and failing to find an audience—especially not with Fortnite Battle Royale taking off so big—but that’s no reason for a pretty game to go to waste. Awkward battle arena gameplay notwithstanding, Paragon’s always been a bit of a showcase for Unreal Engine 4, with gorgeous (if a bit generic) science fiction and fantasy characters battling in lovely environments. Well, now 20 of those characters and more than 1,500 bits of those environments are free for anyone to download and use in their own Unreal Engine 4 project. We’re going to be seeing variations of this stuff everywhere. The 20 Paragon heroes initially released to the public (there are plans for more) include character models, visual effects, dialogue, sound cues, animation cycles and all available skins. K-Pop hero Shinbi comes with an animation blueprint, which can be tailored to a developer’s specific needs. The pack also includes a wide array of assets from the game’s Agora and Monolith maps, including a sample map for developers to use and change as they see fit. Epic Games said that development of the assets released today cost well over $12 million, so it’s nice that they’re not just dumping them in the garbage. Who knows, maybe an enterprising UE4 developer can take these assets and use them to create the shooter everybody thought Paragon was going to be in the first place.